Enjoy bread again! Sourdough bread is growing in popularity as people discover the benefits of fermentation in making bread more digestible and flavorful. In this class you will see the entire process of making a basic loaf of sourdough bread in a special abbreviated format. We will cover how to care for a starter, fermentation, shaping, proofing, and baking. You will enjoy some fresh from the oven sourdough bread and take home your own starter that originated in France over 100 years ago, a dough scraper, proofing basket and detailed instructions. 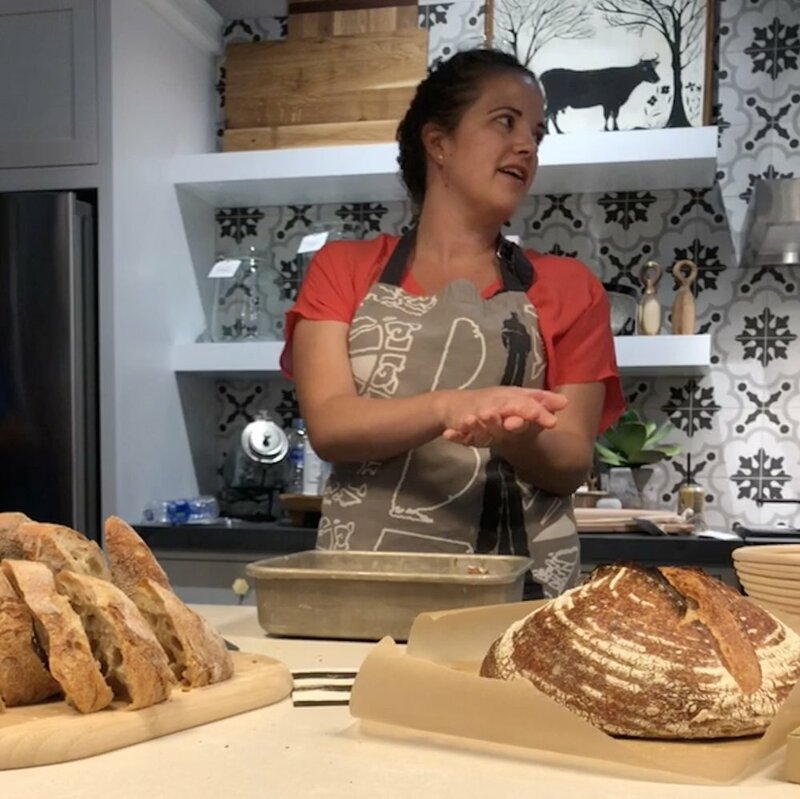 As a class participant, you will have access to ongoing support from Living Bread Baker (Jenny) as you practice at home. Price is $70. Class is from 6:30-8:00pm.